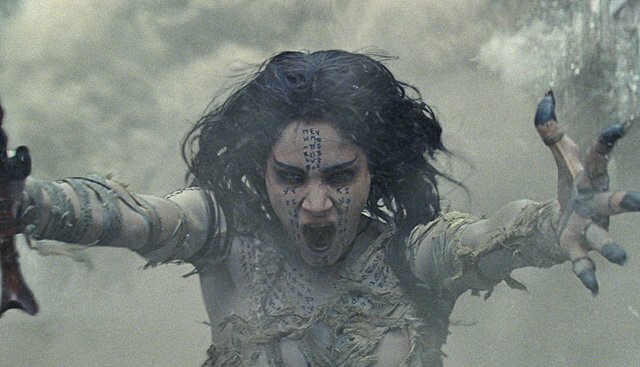 After unleashing the first full trailer over the weekend, Universal Pictures has now debuted a new The Mummy featurette that takes you inside the launch of their Monster Universe. Check it out below! Tom Cruise headlines a spectacular, all-new cinematic version of the legend that has fascinated cultures all over the world since the dawn of civilization: The Mummy. Cruise is joined by a cast including Annabelle Wallis (upcoming King Arthur, television’s Peaky Blinders), Jake Johnson (Jurassic World), Courtney B. Vance (TV’s American Crime Story: The People V. O.J. Simpson) and Oscar winner Russell Crowe (Gladiator). Coming to theaters on June 9, 2017, The Mummy is directed by Alex Kurtzman, who also produces alongside Chris Morgan (Fast & Furious series, Wanted) and Sean Daniel (The Mummy trilogy, The Best Man series). Jon Spaihts and Christopher McQuarrie wrote the screenplay, and Bobby Cohen executive produces. It’s being planned as the first film in the Universal Monster cinematic universe with plans for The Wolfman, The Invisible Man, Bride of Frankenstein, and Van Helsing all in various stages of development.